The perfect little skinny stretch bracelets for Him. Fun mixes of color in each duo. Mix and match, gift to a friend, and stack em up as you please. 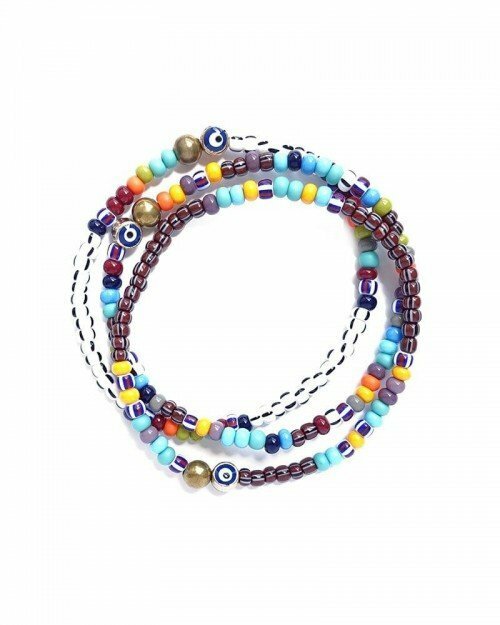 High-quality glass seed bead stretch bracelets with 14k gold plated evil eye and brass bead accents.